And voila! 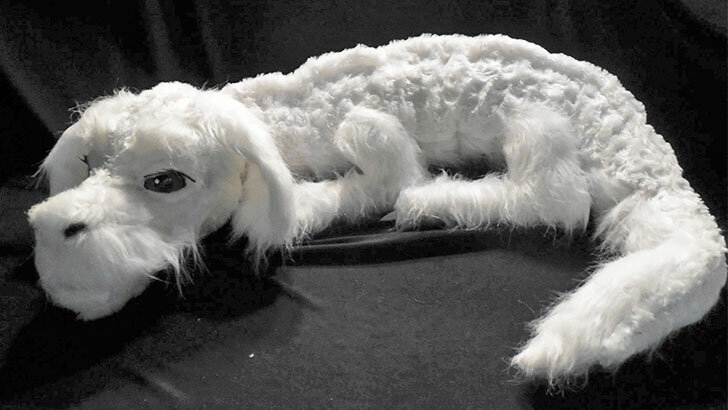 You can now download the pattern right here and make your very own Falkor. The world received a welcome dose of nostalgia when this incredibly lifelike Falkor plush toy hit the airwaves. The Etsy Shop GameGuardians began producing the Neverending Story recreation back in the Spring of 2015, but once the toy went viral, they simply couldn't keep up with the growing demand. So unfortunately for us, the production of this lovable creature is not never ending. However, there is good news in sight for those with crafting ability! The shop recently issued a statement on their Etsy page that included this happy news: "I think it's clear that the world needs more Falkors. I don't have it in my heart to overprice him...So I'm going to start also offering my pattern for sale with detailed instructions and pictures. That way people are encouraged to make their own adding their own creative touches or make as many as they can and sell them. Thanks everyone!" In the meantime, we'll be waiting (somewhat) patiently for the release of the pattern.